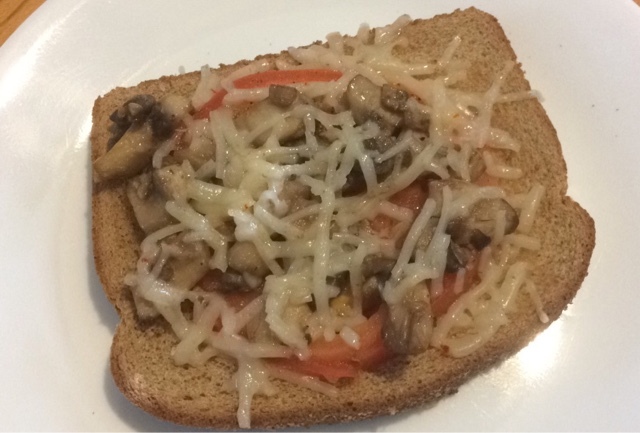 The Vegan Mouse: Garlic mushroom cheese toast. Method: sauté 1/2 a carton of mushrooms in margarine and garlic, a dash of soy sauce and a pinch of all purpose seasoning. 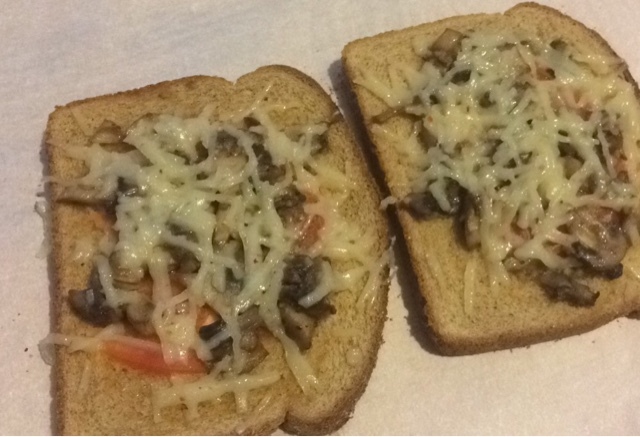 Preheat oven to about 375-400 F. Lay 3 slices of whole grain bread on a baking sheet, spread with a bit of margarine, layer each with a slice of tomato, salt, pepper, the garlic mushrooms and top with vegan cheese. Heat in the oven until cheese melts. This looks so delicious! 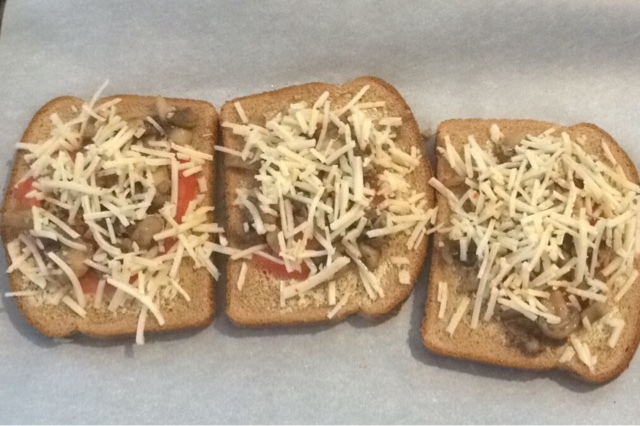 When I was a kid my mom would make cheese toast and it was one of my favorite breakfasts ever!